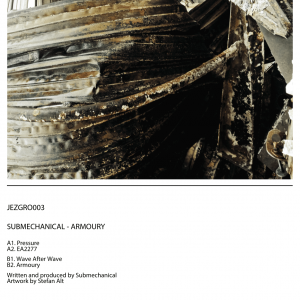 JEZGRO004 follows up our previous release by Submechanical – Armoury EP. 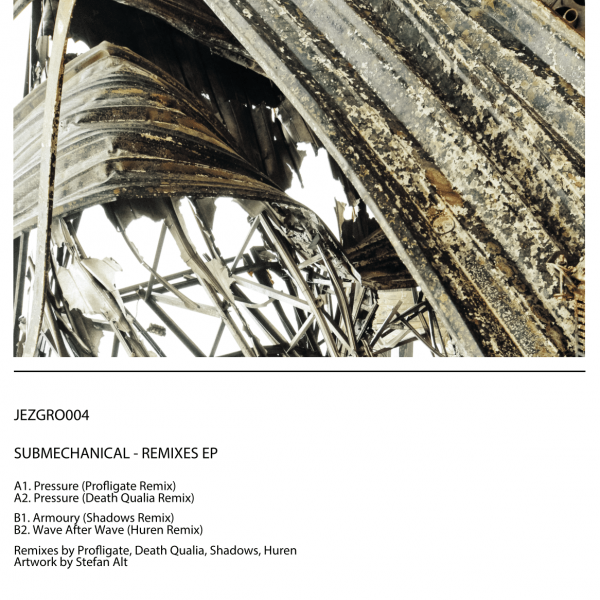 Profligate, Death Qualia, Shadows aka AnD and Huren selected their favourite tracks from the JEZGRO003 and made remixes, each one of them in own specific style. 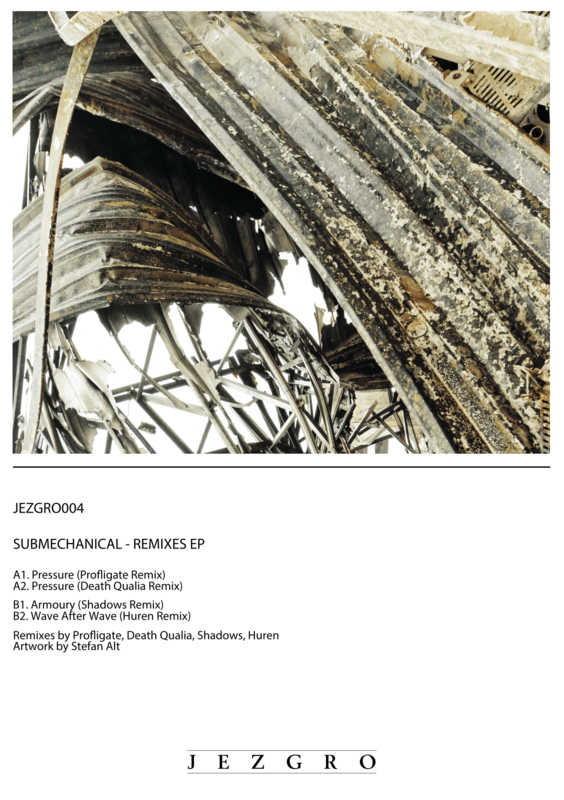 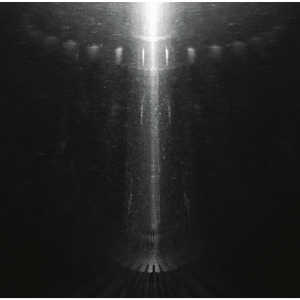 A1 is Profligate’s rhythmic noise remix of the Pressure, high-pitched with mechanical tones. 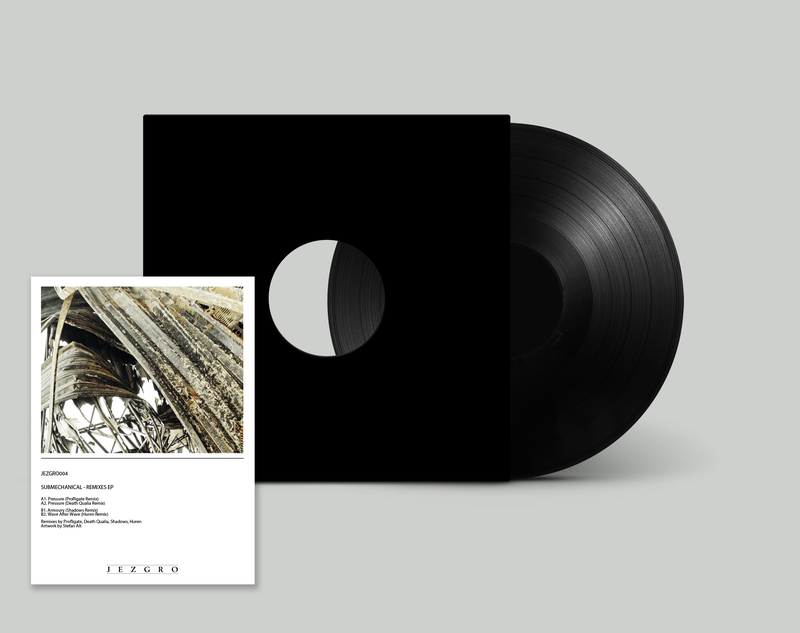 A2 is also a remix of Pressure arranged by Death Qualia a real glitchy, distorted experimental techno track that simply ramps through. 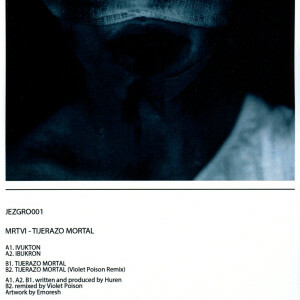 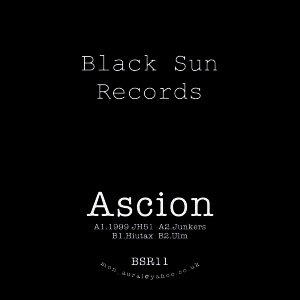 On the side B, Shadows made a remix of Armoury – hunting and seductive power experimental/industrial track. 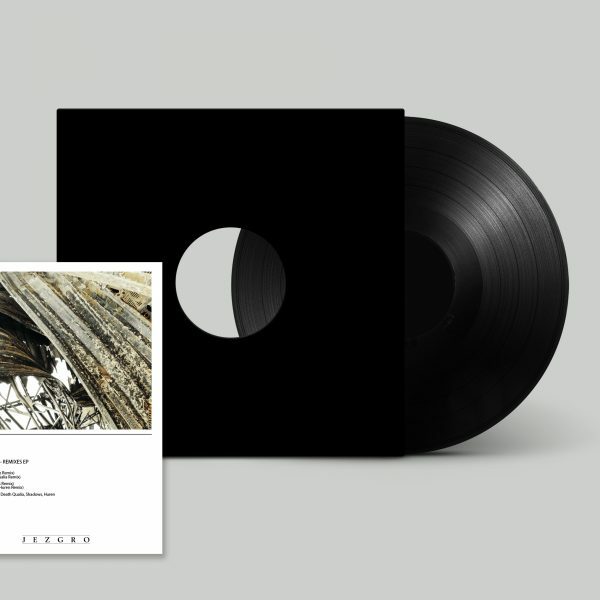 And the last track is Huren’s chaotic and massive rhythmic noise remix of the track After Wave, purposely made raw and unpleasantly satisfying.